Antoinette Roberts, 82, Topeka, passed away Thursday, January 24, 2019. She was born April 5, 1936, in Solano, California, the daughter of Joe Lazaro and Nillie (Serrno) Lazaro. She attended Fairfield High School and North Topeka Beauty School. She owned and operated Ann's Beauty Shop and was a beautician in North Topeka for many years, retiring in her 70’s. On March 6, 1989, she married Larry Roberts in Las Vegas, NV. Other survivors include her son, John Emmett Lavin and his wife Theresa, Nooksack, WA; three step-sons, Darin Lee Roberts and his wife, ShawnDell of Little Rock, AR; David Allen Roberts and his wife, Farrah of Missouri and Brian Scott Roberts and his wife, Monica of Topeka; 11 grandchildren and 10 great-grandchildren. 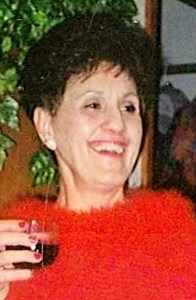 She was preceded in death by her son, Marvin Dale Lavin, Jr., daughter, Debra Ann Mullin and six siblings. She enjoyed dancing, visiting the slot machines at the casino and a good card game. Ann and Larry enjoyed their anniversary trip to Las Vegas every year. Funeral services will be 11am, Saturday, February 2, 2019 at Parker-Price Cremations, Funerals & Receptions, 245 N.W. Independence Avenue, Topeka. A reception will follow the service at Parker-Price Reception Center. Memorial contributions may be made to Helping Hands Humane Society, 5720 SW 21st St., Topeka, KS 66604. To share a memory of Ann or leave a message for her family, please click the Share Memories above. Add your memories to the guest book of Antoinette Roberts. I am very sorry to learn of Ann's passing. You are all in my thoughts and prayers. Comfort you during this difficult time.